Pastor Timothy Swanson as our Interim Pastor. We are a community of Christian faith that has been located and serving in the City of Xenia for over 170 years. Maybe you are visiting our website to get the latest information on worship times, to see our calendar of events, to listen to the weekly sermons, or to view the activities and ministries of our church. Perhaps you came here because you are seeking a place of peace and hope amidst a broken and troubled world. We believe that our only true hope for the future comes from our Lord and Savior, Jesus Christ, through whose life, death, and resurrection we have been reconciled to God. 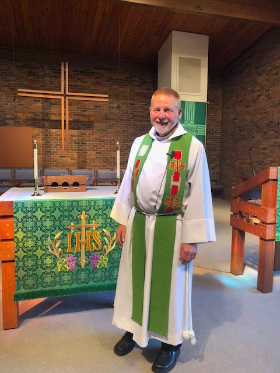 Regardless of why you are here, we invite you to be a part of our faith community, to worship with us, and to join in the fellowship that is First Lutheran. When you decide to visit us on Sunday morning, this is what you will find: a congregation that is warm and welcoming an active and joyous congregation with a servant's heart. We, the people of First Lutheran desire to live out the Gospel in our lives by helping those in need and spreading the Good News to all who need to hear. 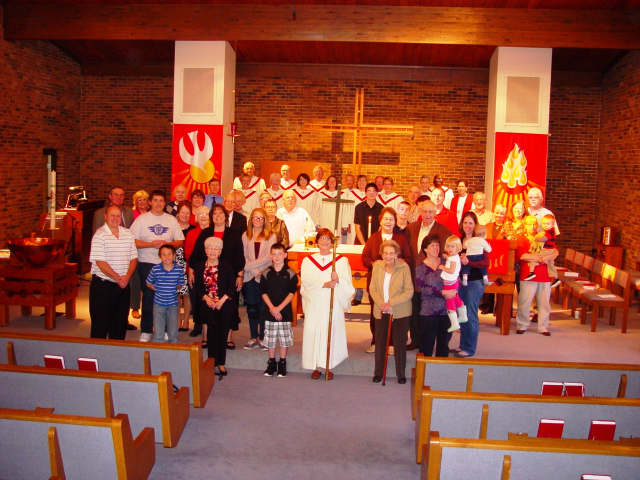 We are a congregation that longs to welcome you into the family of Jesus Christ at First Lutheran Church. Come and see! together with the bread and the wine. Come see a slideshow of our wonderful community, and get a glimpse of some of the many activities that take place at First Lutheran. Come to the About Us section to meet the staff and leadership members, and find out what we're all about!